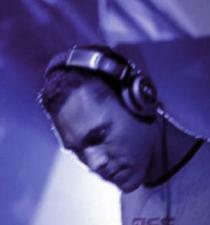 Tiesto aka Tijs Verwest was born in Breda, Holland. He is one of the world's leading trance DJs and has been voted top world DJ for three consecutive years from 2002-2004. Tiesto is world known for his hit remix of the Delerium single Silence and for his re-work of Samuel Barber's Adagio for Strings. Tiesto's musical genious has not only earned him a string of popular releases, remix work and mix compilations but such is his fame that he was invited to play at the 2004 Summer Olympics opening ceremony in Athens with an estimated global audience of 2 billion people. Tiesto rocks , i saw him live in Jakarta on feb 13th 2010 his set was awsome , halfway through the set it rained really bad and i though he might have stopped mixing because it was so heavy, his crew were covering his equipment so it didnt get wet. In the end the crowd were going mental for more , even tiesto said aloud that this is mad trying to mix like this but like a god he carried on and the night went beautifull.